I've had a lot of fun helping to create tutorials for the chapter headers in my new book, Diamond Rings Are Deadly Things. I think that Chapter 3- Coffee Filter Roses is my favorite and I believe my kids would agree. I'm creating a bonus post to show you the best way to dye your coffee filters in preparation to create roses. I enlisted the help of four of my five kids and they had a smashing time! As you can see, a little food coloring goes a long way. My kids were able to dye an entire laundry basket full of filters. First put two or three drops of food coloring in a bowl of water. Mix together and you're ready to start dying! Take a bunch of three coffee filters together to dye all at the same time. Just wad up the filters in the liquid to coat them in the color of your choice. Then squeeze all the water out of the coffee filters by wadding it in a tight ball. Flatten out the wet filters and hang to dry. This is where a clothesline is super handy because we didn't have to worry about food coloring dripping anywhere in the house. The coffee filters dried in less than two hours in the hot summer heat. After drying, it's easy to mix and match the filters if you want a multi-colored rose. 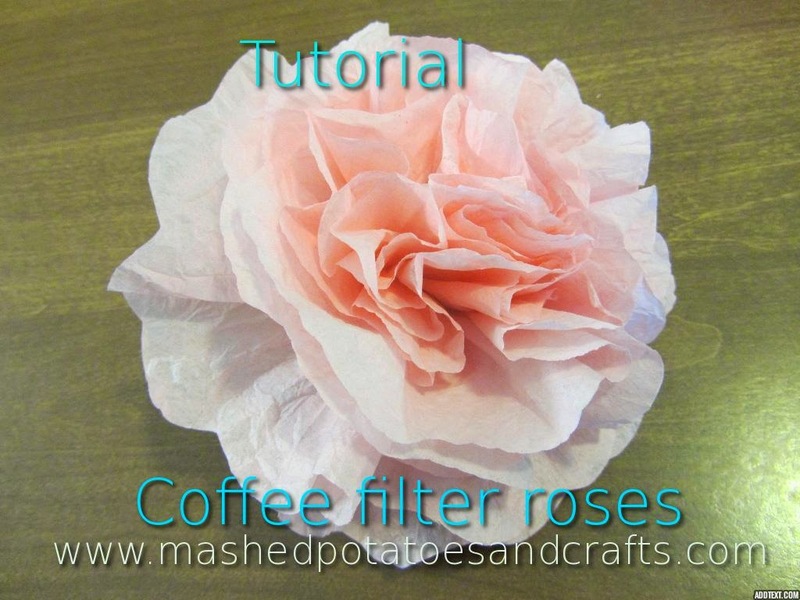 These coffee filter roses are so easy to make. My 8 and 11 year-old-girls made several and the possibilities are endless for your weddings, parties, and more.